Easily assembled using joining rods. 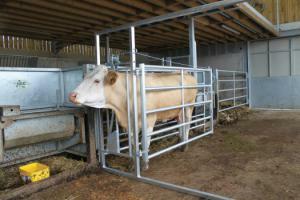 Hinge around gate. Lockable by chain. 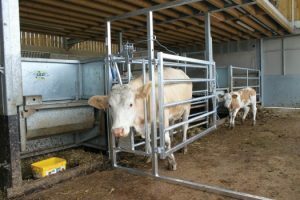 Offering good udder access for calves. Removable rail for caesarean. 3050 long manual yoke. Fold around gate complete with chain to form crush when against a gate or wall. 3050 long manual yoke. 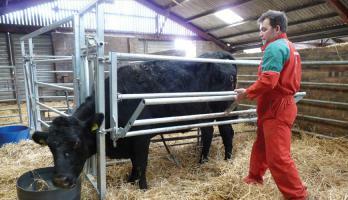 Fold around gate with 3 removable rails to allow for caesarean and calf suckle.